Last year there were 50 VR meetup groups in Europe representing 17,000 members. This year these figures have jumped by more than double, with 138 VR meetup groups and 38,000 members. As much as this is exciting news, the frenzied pace of growth has created a VR landscape in Europe that is highly fragmented. To American eyes, where the cities are as close to one another as the countries are in Europe, and the language remains English regardless how many miles you travel, fragmentation might not seem like a big problem. In Europe, on the other hand, it creates a lot of inefficiencies and missed opportunities that those working in the shaky VR industry would rather avoid. It’s an issue the euVR, an organization that aims at bringing the European VR community together, has been working to solve and is now escalating by rallying event organizers to a timely summit. 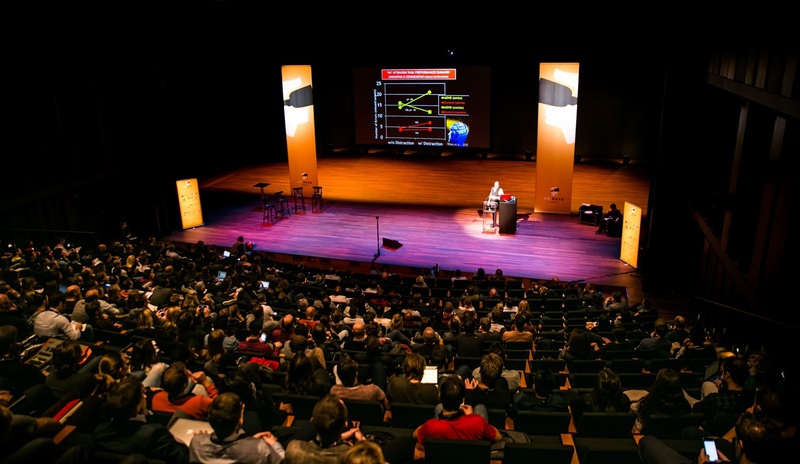 This past Friday, which was the second evening of the VR Days Europe conference in Amsterdam, they held an invite-only event with 25 heavy-hitting VR community leaders. It was run by two of its founding members, Dominic Eskofier, head of VR at NVIDIA EMEA and Daniel Doornink, founder and CEO at VRBASE, the VR incubator, accelerator, and studio based in Amsterdam. The countries sitting at the table included Denmark, Germany, Finland, Switzerland, Italy, Belgium, and of course the designated host, the Netherlands. “It was a very smart move to bring all the event and networking hosts together in one room,” Michael Liebe, CEO and founder of Booster Space, head of the International Games Week Berlin, and representing the upcoming VR NOW Con at the meeting, told me. There was an unusual atmosphere at this particular meetup, with some energetic dynamic at work that balanced tension with a playfulness that one would typically see among peers who have worked together for years. Meanwhile, most of the attendees were strangers to one another despite being central figures in the VR communities of their respective cities or countries of origin. “Our ‘organizer profession’ usually means working with other enthusiasts inside your borders but this kind of ‘event of the events’ puts our work into perspective and gives points of comparison.” Olli Sinerma, Chairman and Founder of the Finnish Virtual Reality Association (FIVR), told me. The mood was light, but the topics hit close to home for everyone in the room. There’s a lack of communication, cross-promotion, and collaboration between community leaders. If they can fix that, they can leverage each other’s resources and amplify the overall impact of their current projects, initiatives, and events. Eskofier and Doornink weren’t there to lecture but to stir the communal pot amongst a heavy hitting audience of like minds and open the discussion for solutions and strategies they think the euVR would be best equipped to lead. One topic discussed was whether organizers would do better to work together when approaching brands for sponsorship support. Some agreed that they could have more impact negotiating at a regional level, while others like Liebe highlighting that many large corporations are typically very fragmented internally, with designated country-based managers that aren’t interested in thinking bigger than their own territory. One of the projects euVR has been developing and is currently working to scale out is a database of the VR ecosystem in Europe. It will offer a kind of landscape transparency to better facilitate collaborations, partnerships, and deal flow, not only within the continent but also for the benefit of increasing the interest for foreign investment and partnerships. Amir-Esmaeil Bozorgzadeh is the co-founder at Virtuleap, a sandbox for creative developers to showcase their VR concepts to the world, which is currently running the world’s biggest WebVR Hackathon. He is also the Amsterdam Chapter Lead at the VR/AR Association and the European Partner at Edoramedia, a games publisher and digital agency with its headquarters in Dubai.